Meissen Porcelain has been considered one of the great German luxury brands since the 1700’s – and has an intriguing history, as the creation of porcelain was a basic by-product of making something else. It was, as with many great inventions, an accident and a surprise. Here is the story: porcelain was NOT invented in Germany, but in China in the 13th century, and was imported at great cost to the the royalty of Europe, many of whom were also avid porcelain collectors. 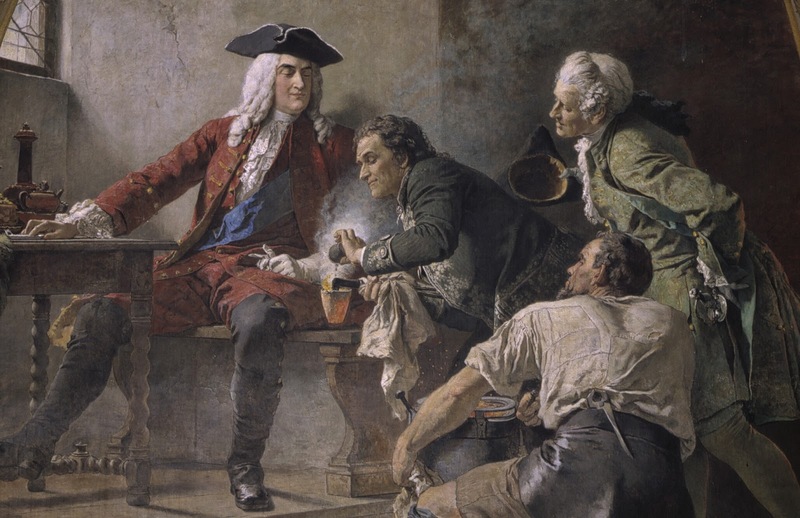 For centuries, valid chemists and straw-into-gold alchemists tried and failed to devise a method for creating perfect porcelain, until… in the early years of 1700, Johann Friedrich Böttger a young alchemist, caught the attention of Frederick Augustus I, Elector of Saxony, a state in Germany. Augustus had heard the young man’s glib assertion (he was only 19) that he could produce gold from base metals. The ruler quickly summoned him, but Bõttger, realizing the jig was up, panicked and fled. He was soon caught and ordered to stay under house arrest in Dresden, until he revealed his secret formula. So much for the Rumpelstiltskin-like boast of turning straw into gold. But he tried. For nearly six years, Böttger experimented, and was unable to produce gold. However, he did manage to create a process for making hard-paste porcelain, and in 1709, he finally perfected translucent white porcelain. When the Elector Frederich Augustus, saw this, he also saw profit in this process, and quickly established a manufactory at Meissen to start production, to help refine the new material and create colored enamels for decoration. Augustus chose Meissen because the small town had extensive local deposits of Kaolin, a needed clay for fine porcelain creation — so the Meissen Porcelain Manufactory, under Bottger’s supervision, was established at the Albrechstburg Castle, where the Meissen Porcelain Manufactory remained for more than 150 years. This late Gothic Castle is on the Elbe, and was built originally as a residence. If nothing else, it is quiet and isolated — a good place to work and create. 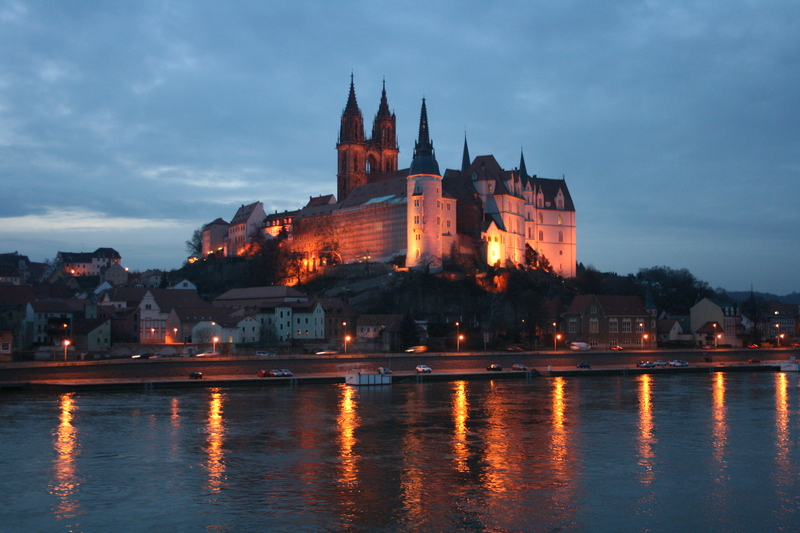 Albrechtsburg Castle on the Elbe in Meissen. The first successful Meissen porcelain products were gold decorations; and multicolor enameled painting was introduced in 1723. The Meissen artisans so created enamel porcelain paintings of oriental patterns, and quickly expanded to detailed landscapes, port scenes, animals, flowers, courtly scenes and Chinoiseries. or Chinese-inspired decoration. 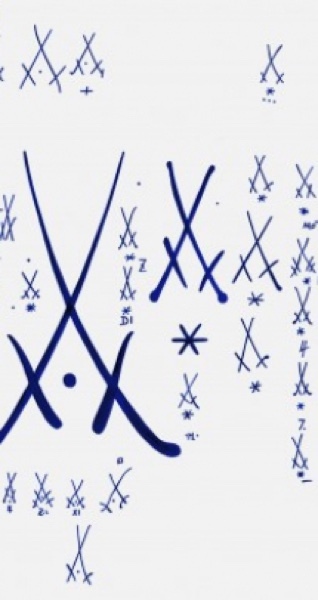 But all had the famous Meissen trademark of the famous blue crossed swords. 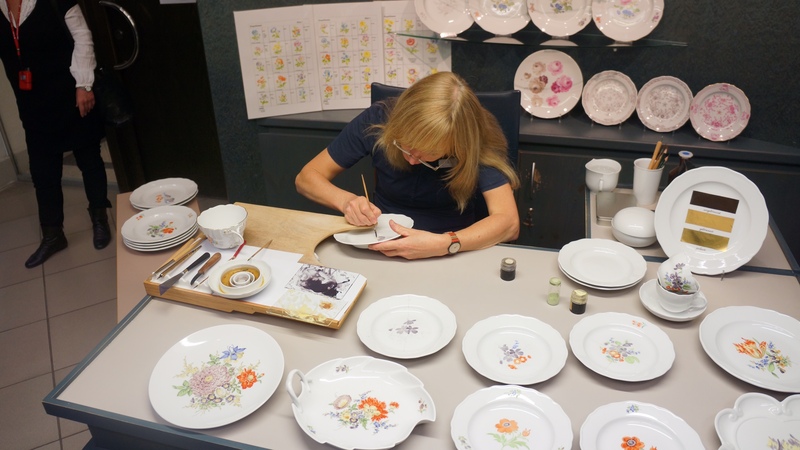 When touring the House Of Meissen, now in an enclave of modern buildings on the outskirts of town, we experienced the process of Meissen porcelain creation, where we saw the artisans’ processes of molding, sculpting, and painting. And as we learned and observed, each Meissen product is individually molded, hand-made and hand-painted for its customers and connoisseurs. And it is expensive. 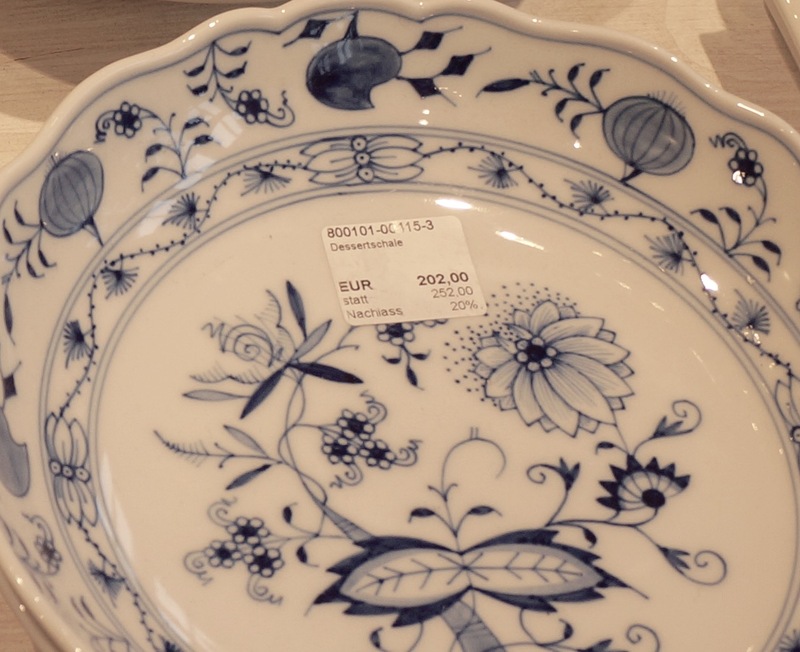 A second (meaning there was some minor error) not even a first, dinner plate costs about $200 USD. A full set of Meissen dinnerware range from $5000 and up. 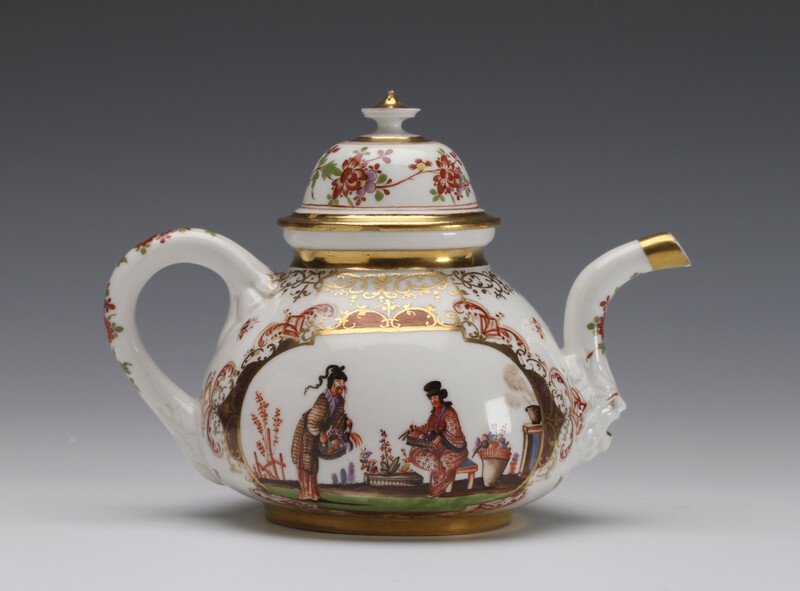 And according to a 2015 New Yorker article on porcelain, a teapot, once owned by the mother of King George I of England, is said to be worth more than $300,000 USD. And in 2012 at Bonhams, a luxury auction house in London, a rare 18th century Meissen Tea Set was sold for 500,000 Euro (about $530,00o USD.) AND it was a set that didn’t include the teapot. As we exited the House of Meissen, we saw a major sculpture, the largest freestanding porcelain statue in the world. It is a recent Meissen porcelain piece, unveiled on the 25th anniversary of German reunification in October of 2014. 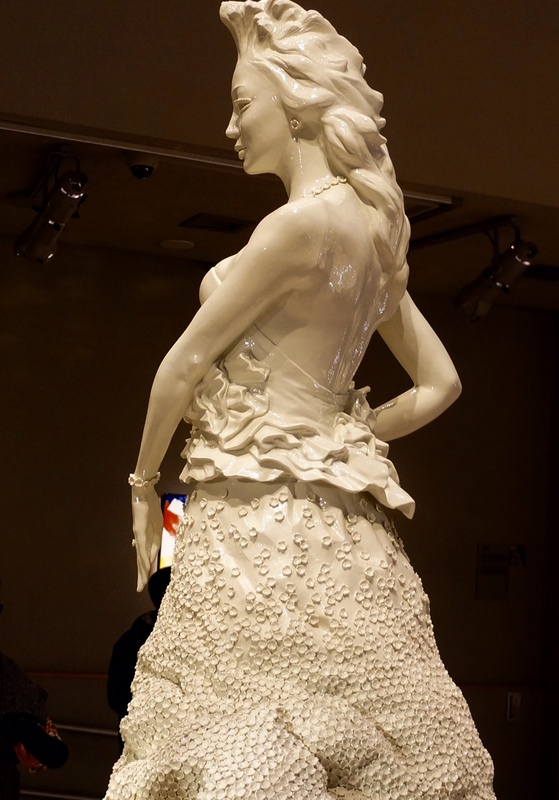 The statue is called Saxonia, a life-sized figurine weighing 800 kilograms, or over 1700 pounds, wears a dress decorated with 800 handmade Meissen Porcelain blossoms. Many of us, after visiting the House Of Meissen and seeing all the porcelain creations, including the smiling Saxonia, we thought of the first line of Keats’ poem, Endymion: A thing of beauty is a joy forever. So true, especially at Meissen. Our visit to the House of Meissen was part of our Viking River Cruise up the Elbe from Prague to Berlin.